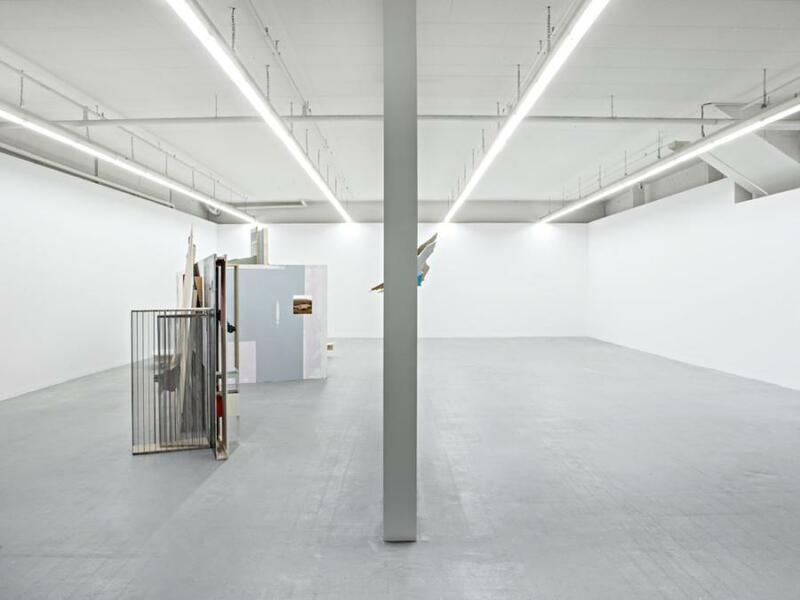 Felix Schramm will develop a large sculpture relating to space for the Kunsthaus Baselland. 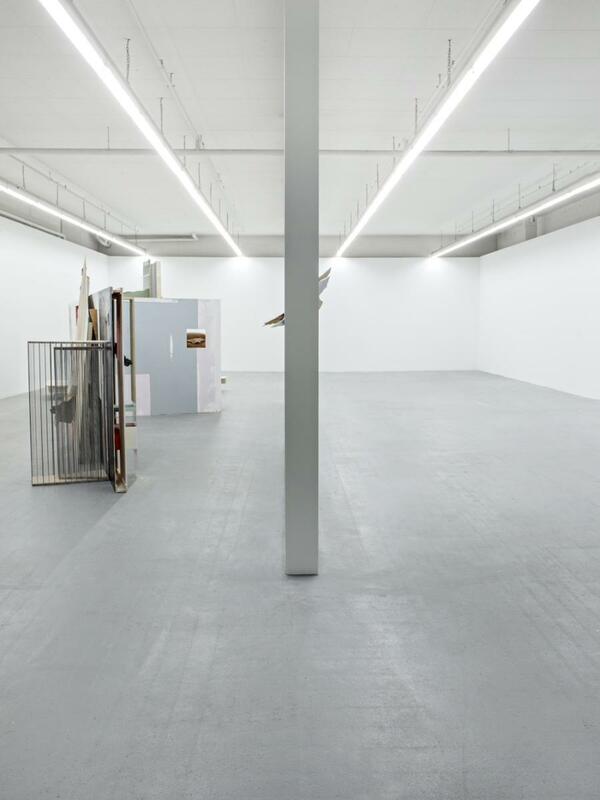 This will be both a clear response to the rooms of the Kunsthaus as well as a continuation, in the form of an ‹Accumulation›, as the work is indeed titled, of earlier sculptural works, ideas and references in different dimensions. Thus Schramm will focus on the perception of works and their relationship to the world. Felix Schramm’s large spatial structure in the Kunsthaus Baselland can only be comprehensively experienced when one moves, changes perspective and modifies one’s view across the work. 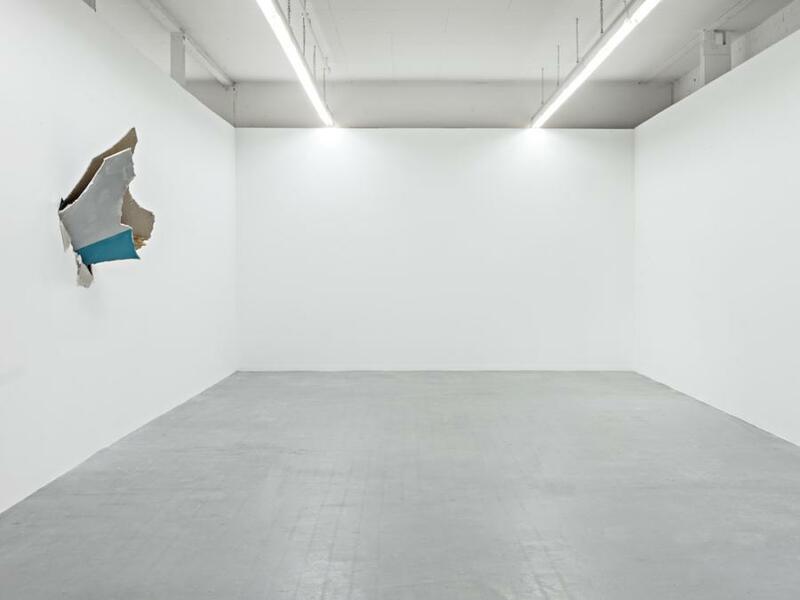 This is the thing that has interested the sculptor, who works in Düsseldorf, for many years: the relationship between viewer and sculptor, as well as how the individual sculptural and three-dimensional elements in the space relate to each other. 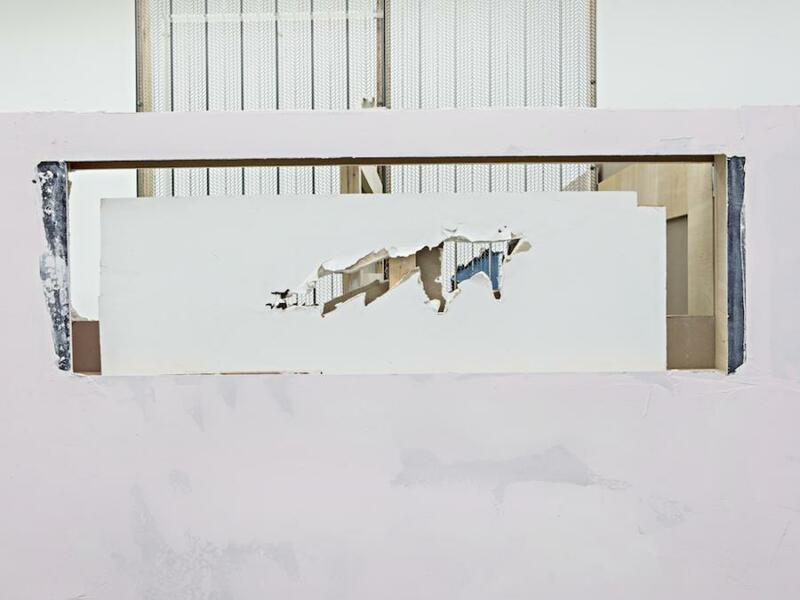 Till now Felix Schramm has been known for his group of spatial intersections — large breakages in walls from industrially produced materials, mostly plasterboard, broken by the artist — which develop from one location into the next, and which seem to be roughly piercing the wall but are in fact set onto it. Instead of just being breakages, his interventions act as fine, concentrated threads leading the eye from one space into another. In his series of works for the Kunsthaus Baselland he now contrasts both topics — spatial intersection and corporal intersection — for the first time and enables an unusual encounter with his work. Since 2011 Felix Schramm has been intensely engaged with the idea of bringing different strands of his work together to connect in an aggregation and concentration — an accumulation. For this he has drawn from pieces of earlier works, taking them further and combining them with new works. In so doing it is important for him that the individual forms, sculptures and casts that surface in these groups of work can be read in new contexts by virtue of their new proximities and different points of view, at the same time creating new frames of reference. 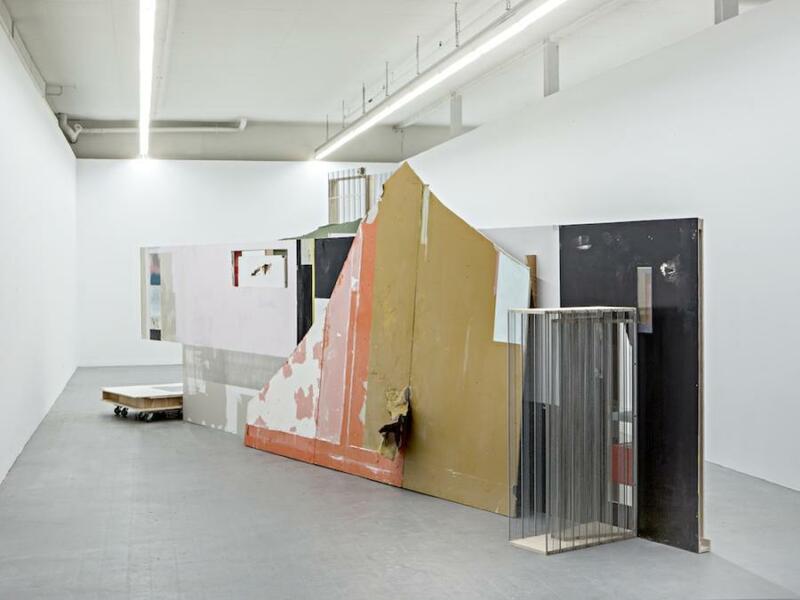 The work Accumulator that Felix Schramm has realised in the Kunsthaus was first developed in his studio in parts before it was added to and completed on site in the exhibition space. The visitor first enters a space that seems to be almost empty apart from a breakage in the wall that penetrates both spaces, gaping in one section. Only by walking around the wall that divides the space, when the second space, lying beyond, opens up, does the full extend of the group of works become clear. In this second part Schramm leads the visitor into works that stand alone in the space — consisting of walls, passages, views that cut through — and so enables a physical experience of layering and of a concentration of spatial accumulations, two dimensional layers and amorphous, sometimes figurative mouldings. The mouldings from industrial wax, which demonstrate Schramm’s interest in modelling, are mostly fragments of models used for brainstorming or from concepts for major projects in exterior spaces. The diverse colours and traces that appear in a painterly fashion on the planes of different surfaces that Schramm chooses for his sculptures are striking. The choice of colours results, in part, from contemporary architectural experience (black for ceiling elements, grey for floor, white for walls, memories of Italian house walls etc.). But the order is never unambiguous and exclusive, but is rather to be viewed as a possibility. It also deals in part with the remnants of colour from the inventories of a given institution where Schramm is exhibiting his work. 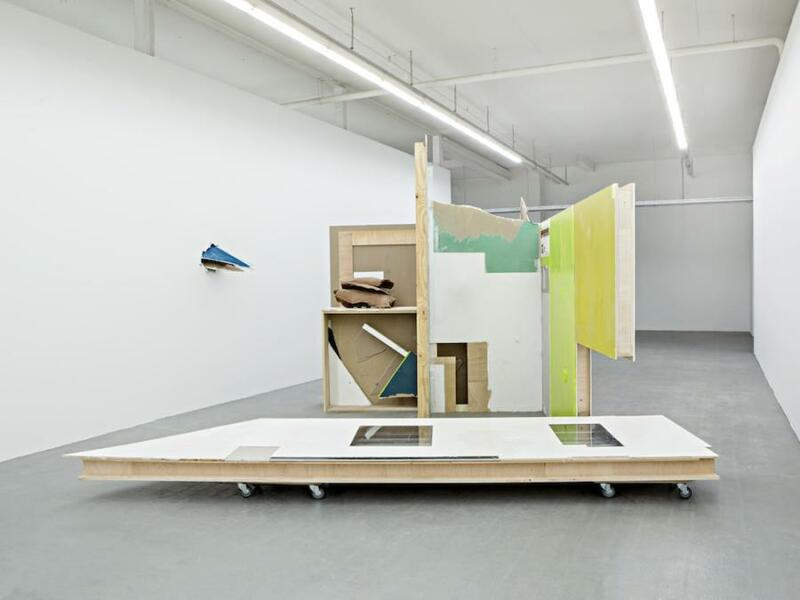 For Felix Schramm it is decisive that his accessible forms, his sculptural interventions and mouldings can be seen, experienced and the elements concurrently re-evaluated by walking around, changing distance and perspective. Contours move, break open and surprising proximities emerge. Only this concentrated experience of space, which opens up the piece, allows the viewer complete insight into the work. The exhibition was generously supported by Stiftung Roldenfund and nationale suisse. During Felix Schramms exhibition the three solo exhibitions by Boris Rebetez, David Keating and Karin Hueber were also on display.